I’ve just been reminded of a Culturewatch article I wrote back in 2004 about soap operas, and thought it might be worth posting it here. Bear in mind that it was six years ago that I wrote it, so the references may seem a bit dated. Soap operas go back eighty years to the days of radio drama in 1930s America. Fifteen minutes serial dramas like Ma Perkins and Just Plain Jane were targeted deliberately at housewives so that soap powder manufacturers could sponsor the programmes – hence the ‘soap opera’ label which has stuck ever since. In the 1950s they started appearing on television but radio soaps continue, most famously in the UK with The Archers which has broadcast over 14,000 episodes since it first aired in 1951. Over the decades, the female associations of soaps have largely faded away. Although some soaps are still very much ‘daytime television’ – and so regarded as having a primarily female audience – others have a central role in evening television schedules. Soaps have become a fixed part of the daily routine of many families, and individuals of both sexes. Soaps consistently command some of the highest viewing figures of any television programmes. Coronation Street – the world’s longest running television drama serial – has only failed to make the annual list of top ten ITV programmes once since 1961. And Dirty Den’s return to Albert Square attracted more than 16 million viewers in 2003 despite the proliferation of television channels splitting the audience in ever more directions. EastEnders‘ biggest audience was 30 million when Den handed the divorce papers to Angie. Mind you, that’s nothing to the 100 million who regularly watchRamayan in India. Soaps have a number of key characteristics: short frequent episodes, very short scenes, several interwoven story-lines, no central character, a domestic location – usually centred on some public space (the Rovers Return, the Queen Vic, various coffee shops and cafés), ongoing narratives that are never completely closed, based around relationships between characters living in something close to real time, and centred on social and relationship issues. For many people, the events which unfold in soaps day after day are hugely important. We feel like we share in the character’s lives. Dorothy Hobson, in her book Soap Opera (Polity Press, 2002) says that soaps work ‘because the audience has intimate familiarity with the characters and their lives. Through its characters the soap opera must connect with the experience of its audience, and its content must be stories of the ordinary.’ We don’t know the characters but it feels like we do; it feels like they’re real people whose lives continue when we’re not watching. We talk about them at home and at work; we sit in judgment on their actions and motives; we join in with their gossip. We even begin to miss them when we can’t see an episode. One Hollyoaks fan on an Internet discussion board offered £10 plus postage for a recording of an omnibus edition which she had missed. Sharon: A postcard would’ve done . . . Or a phone call. Den: It just wasn’t possible. Sharon: I chose your coffin, I buried you, so anything’s possible, isn’t it? Den: I couldn’t take the risk. Sharon: Oh please – you couldn’t risk contacting your own daughter to tell her you weren’t dead? 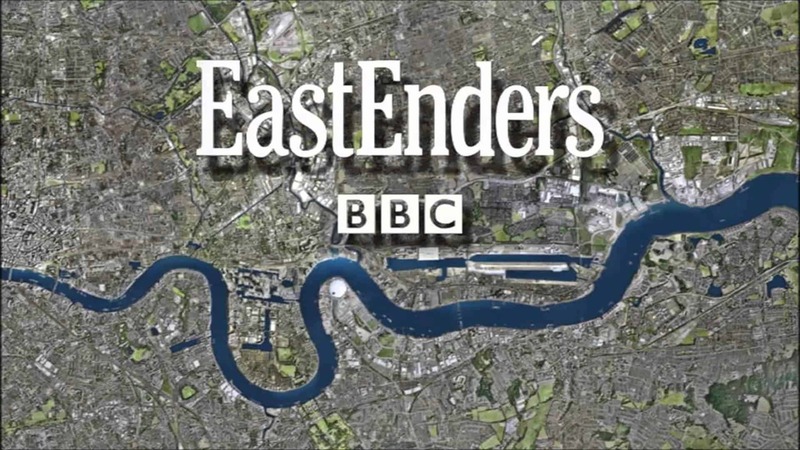 EastEnders essentially tells of the age old struggle between good and evil and all that flows from that: heroism, suffering, loss, betrayal, self-sacrifice, the human struggle with moral frailty; the struggle to bind together as a community; comeuppance and redemption. Dennis: Well, in this life you’ve got to look out for yourself, ‘cos no one else is going to do it for you. Dot: Don’t I know it, better than most. You know, you don’t like people to know it, but deep down you’ve got a very good heart. Dennis: Yeah, well, don’t go spreading it around, eh? We couldn’t ask for a better bunch of friends and neighbours. We’re going to miss you all. So until we see each other again you all take care – be kind to each other. Maybe that strong sense of fighting back and of pulling together is part of the reason why the boundary between fact and fiction sometimes gets a little blurred. When Deirdre from Coronation Street was wrongfully imprisoned in 1998, the tabloid newspapers all joined the ‘Free Dierdre’ campaign. Tony Blair and William Hague even expressed their support, as did a number of celebrities. In fact, the campaign was the creation of a marketing company on behalf of Granada Television (www.robellclubs.co.uk). Nevertheless, the huge public support was a fascinating measure of just how much viewers engage with their soaps and the issues within them. BothCoronation Street and EastEnders have deserved repuations for dealing with some of the major issues of our time including terminal illness, euthanasia, child abuse, race, infidelity, infertility, etc. Soaps are modern morality plays. As we see characters struggling to work out how to act, and as we see the consequences of their actions, we are forced to consider what we would do in similar circumstances. And if the soap is being true to life, our circumstances may not be all that different. Those are profoundly theological questions. Our answers spring out of our deepest beliefs about the nature of God, the universe and human beings. The Christian conviction is that Jesus Christ has given us very clear answers to those questions in his life, death and resurrection. And maybe watching soaps might help us to work out how to apply those big answers in the nitty gritty of the circumstances we face day after day. Excellent! Hope the writing goes well!